I've been reading a little about this building and its place in jazz history. Designed by Wright protege David Henken and constructed in 1958/59. I've read that Henken considered it one of his best. 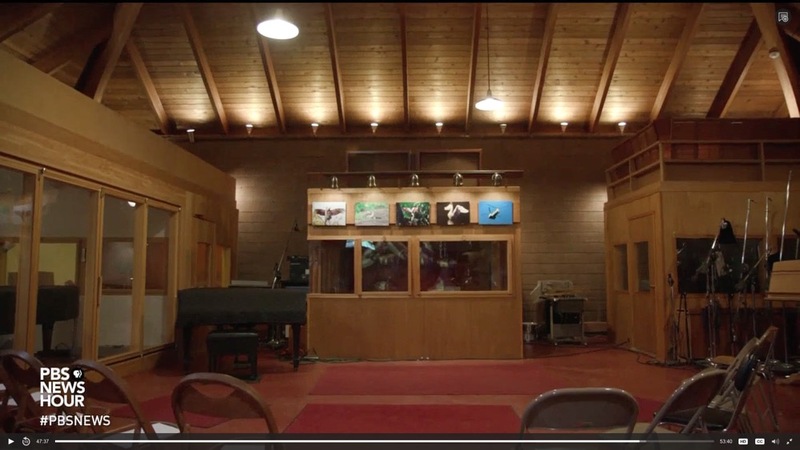 The couple of color interior photos I've seen of the studio show a red concrete floor slab, very Usonian-seque. But does anyone know whether Henken utilized a hydronic slab design for heating that space. Seems like a particularly well suited system for heating a recording studio. Figured if anyone would know it would be a bunch of Wright freaks. Or maybe if someone lives near Englewood Cliffs, New Jersey they could drop by ask Mr Van Gelder (still working in his early 90's) about his slab? ...about a 1/4 mile west of it, and I never knew what it was until 4 years ago. Used to wait for the bus for school about 30 feet from the drive entrance. I'm writing an article on jazz greats and Northern New Jersey now, which brought me here. Mr. Van Gelder still lives there, I think, and his address and phone are both online, should you wish to ask him about the slab. It always looked like a "Wright-esque" building to me, and now I know why. I was never sure if it was a home or office (it's surrounded by office buildings), and now I also understand it's ambiguous presence since it's a recording studio. 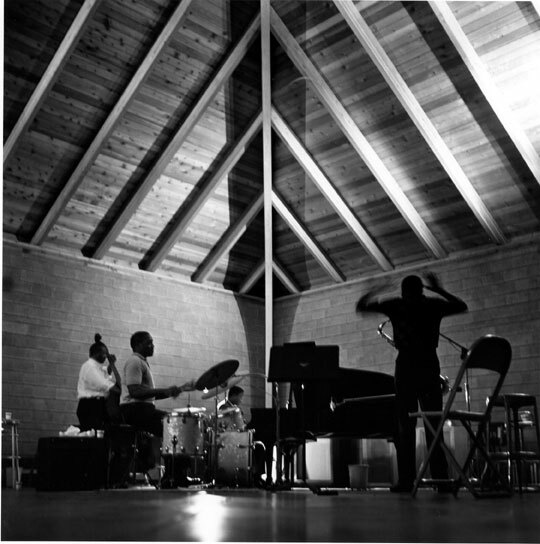 Very sad to report that Rudy Van Gelder, the original owner and sole occupant of the recording studio he commissioned from David Henken in 1959, passed away on Thursday 8/26/16 at age 91. If you are a mid-century American jazz lover it is likely that many of your favorite classic performances were created in his building. Well, this thread is a few years old, but I'll chime in. 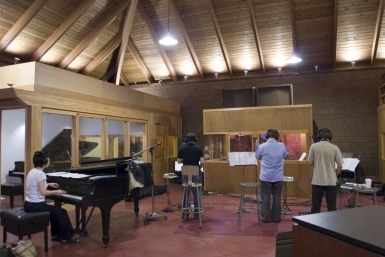 Dr Rudy Van Gelder (RVG) commissioned Henken to design the studio. The floor is indeed polished concrete, finished in red, like many Usonian structures. The walls are cinder block or concrete block of some kind in a natural finish. The ceiling is cedar wood planks and there is a giant wooden support beam that goes from the floor and rises to the top of the vaulted ceiling. I heard that the wood was brought in from Canada by rail. I am a jazz musician by trade, so I know quite a bit of music that has been recorded there, and I know dozens of musicians who have recorded there. I have not, for reasons I cannot go into. I don't know about the heating system at RVG's, or anything technical about the floor. Now that Rudy is gone, any questions about the studio could probably be answered by Don Sickler. He's a jazz musician and producer with connections to the studio. Thanks for that, AJFarber, and welcome to the board. I wonder why this Wiki page hasn't be cited here before. 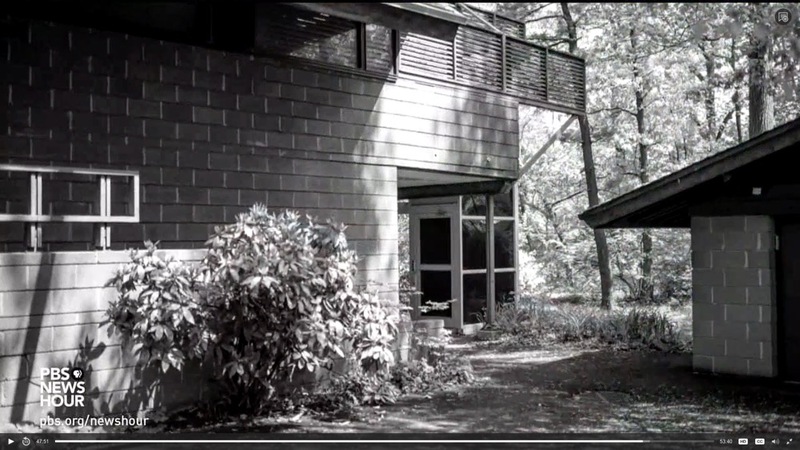 Is there a list available of Usonian homes? Either by FLW, David Henken, or other FLW disciples? Monographs from the 'eighties and the three-volume Taschen "Wright" published in 2009 illustrate most or all of the design work, respectively. There is not a monograph on Henken, as far as I know; his work at Usonia New York (at Pleasantville) is seen in a book by Wright client Roland Reisley. It's a very large field . . .
Books about Usonians Jacobs I & II, MM Smith, Christian and Rosenbaum, and Usonian Automatic Pappas can be had. Go to any bookstore (if the still exist in your neighborhood) that specializes in the arts, and there should be a number of books you can buy. Where do you reside? On today's PBS NewsHour, at :45 after the hour, is a piece on the Van Gelder studio and lost John Coltrane tapes made there in 1963. Coltrane died of liver cancer four years later, at 40. A new recording presents this long-lost material. 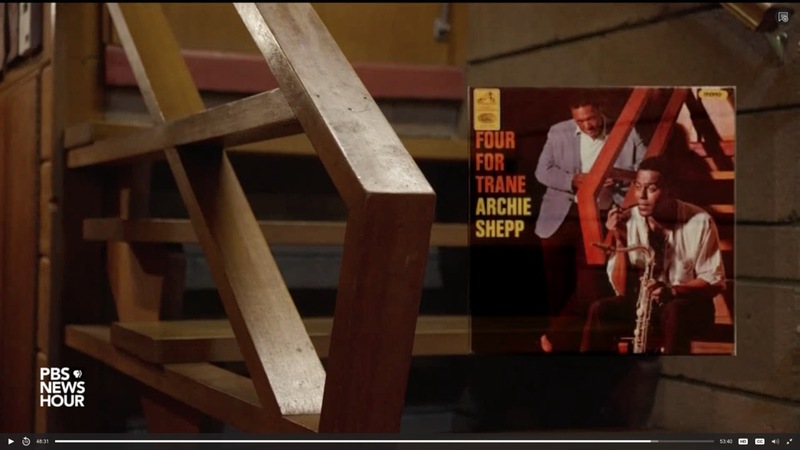 David Henken is mentioned, and is shown in a photo with Mr Wright; the building is illustrated, briefly, including in background visuals on several jazz LP sleeves. The Coltrane quartet live with Elvin Jones-drums, McCoy Tyner-piano, Jimmy Garrison-bass. 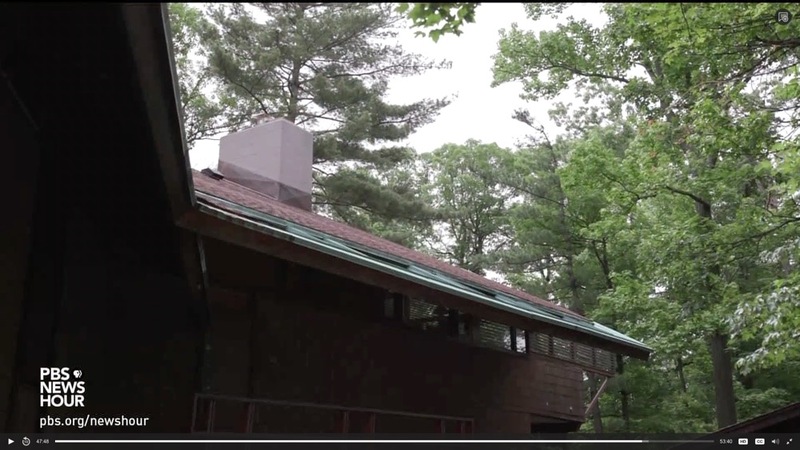 There was a brief shot in the NewsHour piece, looking straight up at the peak of the hipped roof. I wonder where else one might find such a photo. Guess I'll go and grab a screen shot from the NewsHour Web site . . . 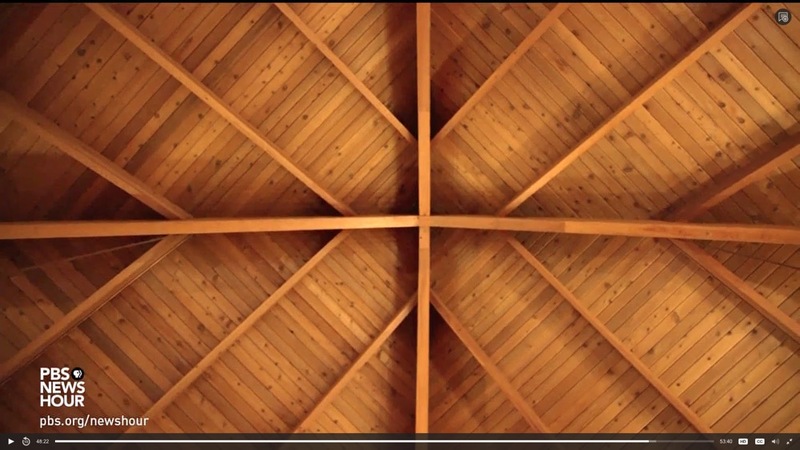 I wonder what the specifics are, to the acoustics of a wood-boarded pyramidal ceiling. 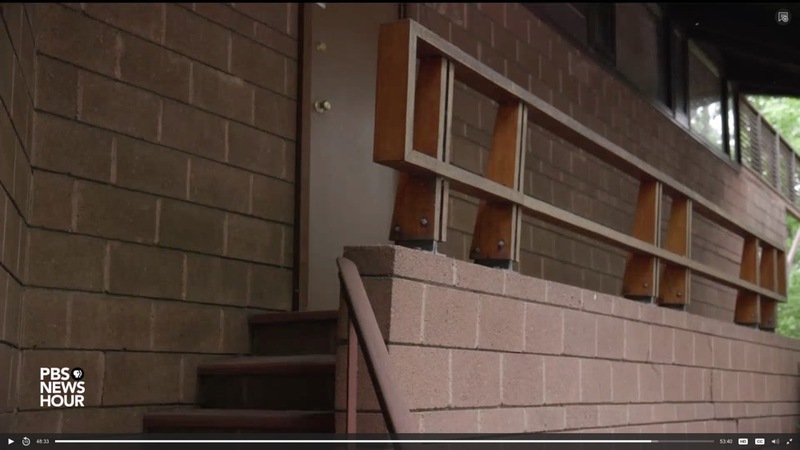 Would the angle of rise be critical to the desired reverberation or other characteristic ? Would the exposed rafters affect the sound compared to sheetrock or acoustic tile ? Did the client require access to second-floor office space that was insulated from the studio ? Is that what the dark-glass shaft with door is about ? © 1996 - 2018 NewsHour Productions LLC. 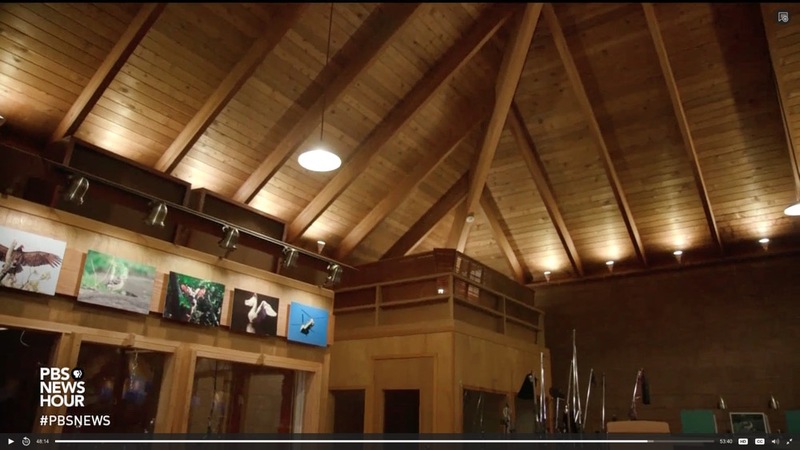 AJFarber told us, in his first post, above, that "The ceiling is cedar wood planks and there is a giant wooden support beam that goes from the floor and rises to the top of the vaulted ceiling." Would that be a post from floor to peak of roof ? This doesn't appear in any photos, including the latest, above. Can anyone enlighten us ?